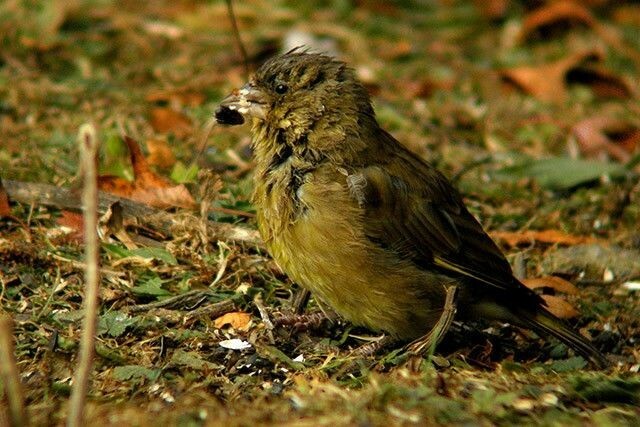 Scientists from the Garden Bird Health initiative (GBHi) have discovered that trichomonosis, an emerging infectious disease of garden birds, led to dramatic declines in Greenfinch populations across much of England. In central England the population declined by a third within a year of the emergence of the disease. The study also revealed that Chaffinch populations fell by up to 20%. Most birds died in the summer and autumn months, and outbreaks of the disease have continued to occur each year since its emergence in 2005. 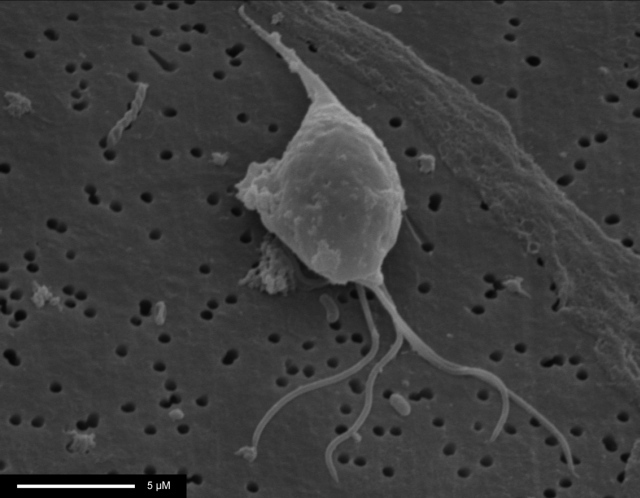 Trichomonas gallinae, the cause of the disease, is a protozoan parasite (not a virus). It is well known as a cause of disease in pigeons and doves, and also the birds of prey that feed on them. In 2005, trichomonosis was first recognised as a cause of disease in British finches, with Greenfinch and Chaffinch most affected, although a range of garden birds have been found to be susceptible to the parasite. Trichomonas is vulnerable to desiccation and cannot survive for long periods outside the host. Transmission is most likely to be through birds feeding one another with regurgitated food during the breeding season; or through food or drinking water contaminated with saliva. A disease fact sheet on trichomonosis is available on the GBHi website. Outbreaks are most severe and frequent in the period August to October and sick birds are obvious, as they have a tendency to stay close to feeders and water sources, and often die there. Lack of birds in the garden without the presence of sick or dead birds does not indicate a disease outbreak, but is most likely caused by the seasonal changes in birds' behaviour in late summer and autumn. Dr Rob Robinson, a Principal Ecologist at the BTO, commented: "These findings demonstrate that virulent infectious diseases can cause sharp population declines in common wild birds in just a short period of time." In order to determine the scale of the disease outbreak, the study drew data from observations from members of public and a volunteer survey. Further data were collected through post mortem examination of hundreds of birds collected from gardens across the country. Becki Lawson, a wildlife veterinarian at the Zoological Society of London, said: "This citizen science project highlights the valuable role that volunteers can play in helping us learn more about wildlife diseases, even by just watching birds in their gardens for a couple of hours each week." Trichomonosis is well known in doves and pigeons, but appears to have jumped the species barrier in 2005. The current effects of the disease on Greenfinch and Chaffinch populations highlight the highly unpredictable impact of parasites able to move between different species. James Kirkwood, Chief Executive of the Universities Federation for Animal Welfare and founder of the Garden Bird Health initiative, said: "Health surveillance of British wildlife is crucial for us to recognise new and emerging disease threats that not only adversely affect the welfare of individual animals, but have the potential to impact entire populations." The GBHi team is now investigating possible factors underlying the emergence of this disease in garden birds and its continued impact on our garden birds. Members of the public can help the project by reporting cases of disease or mortality in their garden birds online. The GBHi was established in 2003 to develop and publish guidelines about how best to feed garden birds to maximise the benefits for their conservation and welfare and to undertake a major garden bird health surveillance and research project. The surveillance and research project is a joint initiative of the BTO, Zoological Society of London, RSPB, Universities Federation for Animal Welfare, Scottish Agricultural College, University of Liverpool, and the Wildlife Veterinary Investigation Centre, with other collaborating organisations. The GBHi uses volunteers to record disease incidents from the general public and the BTO Garden BirdWatch scheme, enabling scientists to track the impacts of this emerging disease on garden bird populations.